I love the color combination of black, white and red. It’s just got an edge to it. 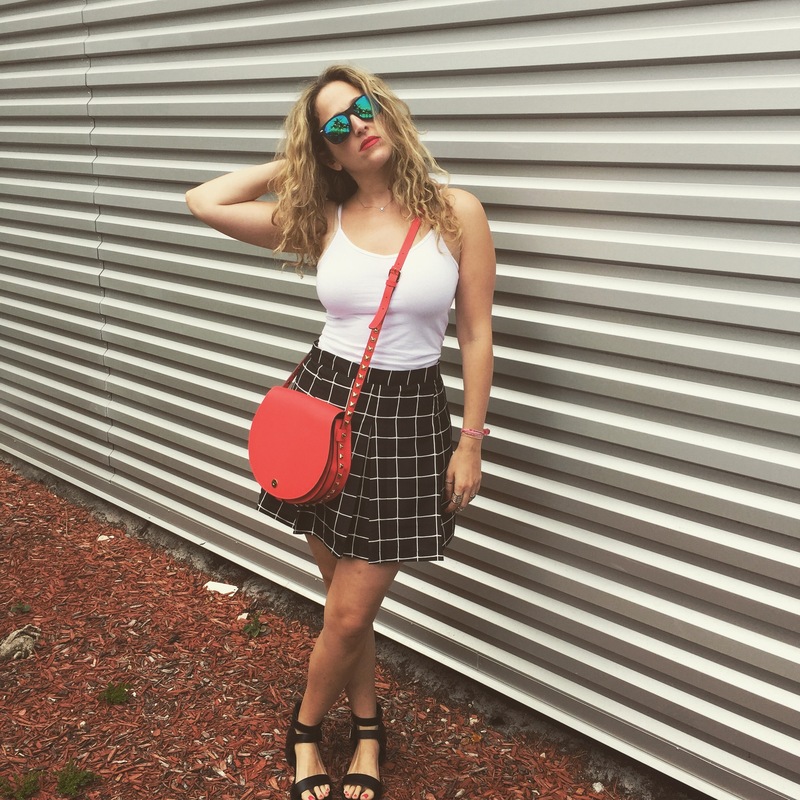 My skirt is from urban outfitters and I paired it with a simple white tank, buckled flat sandals and red bag by Rebecca Minkoff.